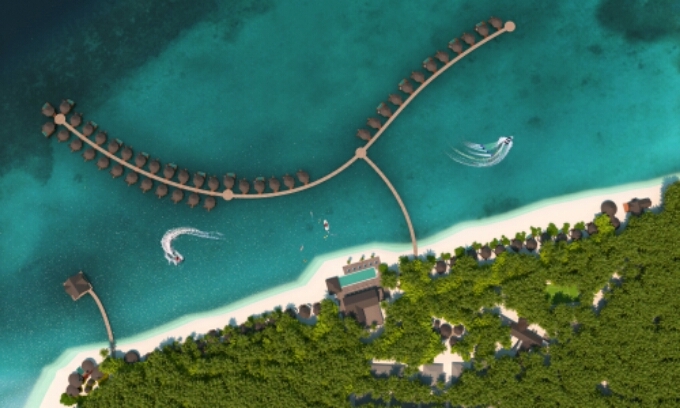 Accor today announced that a 68-Villa Mercure Kooddoo resort is slated to open in 2016 in the south of Maldives in the Gaafu Aflifu Atoll. The resort will offer one of the best-value accommodation options with 43 villas located over water and 25 scattered along the white sandy beach. 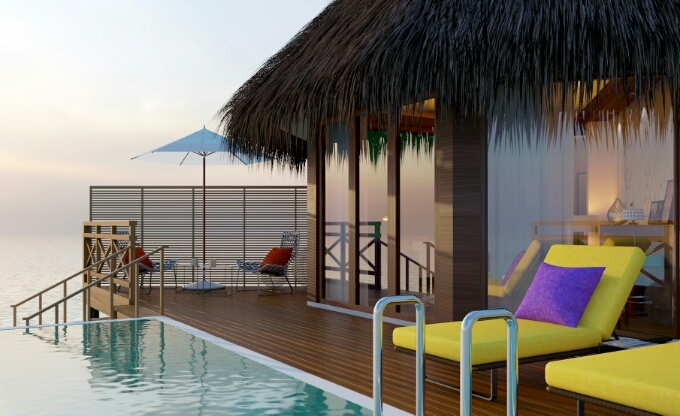 The resort will be built with local materials, bright colours and stylish furniture with interiors designed to reflect the Maldivian culture and the spirit of travel. There will be an all-day dining restaurant, lobby lounge, pool and pool bar, sunset bar, spa and gym as well as watersport activities and a dive-centre to explore the pristine waters filled with colourful marine life. It will be the only Maldivian beach resort directly accessible by domestic plane without speedboat transfers. Maldives has enjoyed record visitor numbers with 120,468 tourist arrivals in February 2015. The hotel will be built by Pristine Islands Investment Pte Ltd, a joint venture company set up by Keong Hong Construction Pte Ltd, a wholly-owned subsidiary of Keong Hong Holdings Limited and its joint venture partners Sansui Holding Pte Ltd, BRC Asia Limited, L3 Development Pte Ltd and Hotels & Resort Construction Pvt Ltd.